Eleven days ago, Maserati “leaked” some photos of the 2014 Ghibli. Today, they’ve officially debuted the middle-Maser at the Shanghai Motor Show. Maserati hopes to sell a total of 50,000 cars annually and wants the Ghibli to play a big part as a competitor the Audi A6, Mercedes-Benz E-Class, BMW 5 Series, Cadillac CTS and Jaguar XF. The only problem, it still looks like an Infiniti Q50. 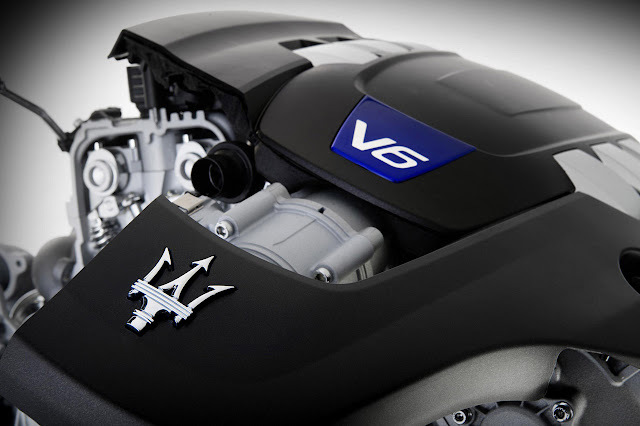 As we reported earlier, the 2014 Maserati Ghibli has a range of three engine options, all 3.0 liter V6s. Now, we know the performance associated with those engines. The base engine is a single turbo 3.0 liter V6 putting out 330 horse and 368 pound-feet of torque. That engine is good enough to push the Ghibli to sixty-two miles-per-hour in a respectable 5.6 seconds. It also gets an awesome 28.8 mpg. Pony over a few more Lira for the Ghibli S, and you get a twin-turbo version of the 3.0 liter V6 with 410 horse and 406 pound-feet that will shorten the 0-62 sprint to five seconds even. Keep in mind, the Jaguar XFR-S will hit 62 in about 4.5 seconds and the XFR will take 4.9. The Ghibli S also as a Maserati first an the new Q4 AWD system. Get the 3.0 liter Diesel for a torque monster. You only have 275 horse on tap, but you make up for it with 443 pound-feet of torque. That’ll cross the 62 mph mark in 6.3 seconds. Of all the engine options, that, I think, is the most impressive, especially since it can achieve an amazing 47 mpg. 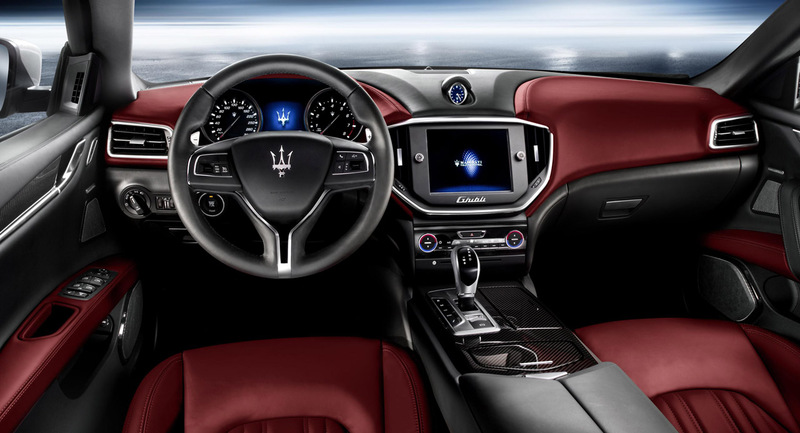 We will have to wait and see if the drive of the 2014 Maserati Ghibli makes up for its less than ground-breaking design. But, for now, have a look at the gallery and peruse the press release below for the full scoop. Together with a new 330 Hp Quattroporte purposely conceived for the Chinese market. Shanghai, China, April 20, 2013 – The Shanghai Motor Show will mark three giant steps in Maserati’s march towards its goal of 50,000 cars a year. The Ghibli will also become the first Maserati production car in history to be powered by a diesel engine, with a 3.0-litre V6 turbo-diesel. The 3.0-litre turbo-charged V6 develops 202kW (275hp) of power and a crushing 600Nm of torque to deliver 0-100km/h acceleration in just 6.3 seconds. Critically, its NEDC fuel economy figure is less than 6.0 litres per 100km (more than 47 mpg). It uses highly advanced Common-Rail direct fuel injection with 2000 bar of injection pressure and it also features reduced-dwell-time injectors. This helps it to deliver sequential multiple injections for highly responsive performance and cleaner emissions with a CO2 output of less than 160g/km on the combined cycle.